The ages at which they died. As many of you know, I've been reading (slowly) through Joseph Glathaar's General Lee's Army. On page 394, I came across this statement: "Younger men, usually more aggressive and less concerned with mortality or injury, lost their lives more frequently in battle. Men born after 1835 were more likely to die in battle while those born before 1835 succumbed more often to disease." So, I thought I would conduct my own little study to see if this played true. I selected five companies from the five regiments that comprised the Branch-Lane brigade. My five companies were not randomly selected. Three of the five came from rural areas: Company B, 33rd NCT was from Edgecombe and Pitt Counties; Company B, 37th NCT came from Watauga County, and Company F, 28th NCT, came from Yadkin County. The other two companies, Company D, 7th NCT, from Mecklenburg County and Company I, 18th NCT, from new Hanover County, came from places that might be seen as more urban. My search subjects had to have records both for their age, and the reason for their death. If one of those criteria was missing, he went into the unknown column. From the five companies, I had a total of 87 unknowns. I also listed those who died of wounds as being killed in battle. Let's look at Professor Glatthaar's statements. "Men born... before 1835 succumbed more often to disease." I found this statement to be true in my five test companies: 51 of those aged 26 years or older, died of disease, while only 33 of those over 26 years old died in battle. "Men born after 1835 were more likely to die in battle...." I found this statement to be false. Of my five test companies, 69 of those aged 26 or younger also died of disease, while 57 died in battle. In my five test companies, men were more likely to die of disease regardless of age, than to die in battle. Given that the majority of the unknowns were also more likely to have died of disease, that fact becomes more established. Has anyone else ever looked at the ages at which men died on a regimental or brigade level? Details or just the facts? I am extremely blessed that I get to spend my days with some great writers and historians. Recently, ITo Antietam Creek. 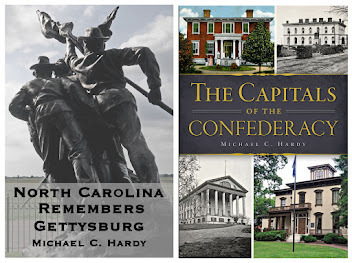 It is a fantastic examination of the days leading up to the battle of Sharpsburg, including Harper's Ferry and South Mountain. Likewise is Tom Clemens's editing of the Erza Carman manuscript. Carman was a Federal soldier who fought at Antietam, and later in life, compiled a 1,800 page manuscript on the battle. 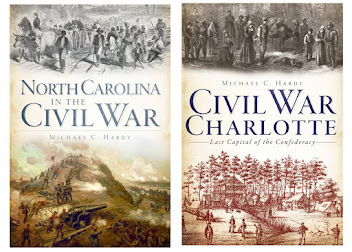 He went to great lengths to talk to his fellow veterans, and his final work, along with his collection of correspondence, is quite possibly the most definitive collection of information on any Civil War battle. I finished out my work this week by reading Thomas McGrath's Shepherdstown: Last Clash of the Antietam Campaign, September 19-20, 1862.I also liked this book a lot. I would have liked it even more had there been more about the Confederate side of the battle, but, that information may not exist. Added to this are books by Mike Priest, Joseph Harsh, and Stephen Sears. 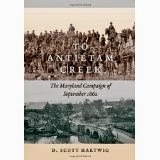 While there are more books on Gettysburg, the quality of the tomes on Antietam are, in my opinion, unbeatable. All of this leads to my real reason for posting. I have noticed in the past few months quite a few "book reviewers," especially on Amazon, disliking various books because they are so detail-oriented. I've seen this with my own books, and with fellow authors, like Eric Wittenburg. What gives? I dislike books because they are not rich in details. If I am reading a battle history, or a regimental or brigade history, I want those details. Have we descended to a mediocrity in intelligence where the educated reader simply wants to get by with just the big facts? Would you, the reader, prefer me to write "that there was hand-to-hand fighting around the farm house," or, would you prefer to hear it from a survivor of the battle? For example, during a portion of the battle of Hanover Court House, a member of the 25th New York chronicled that Sgt. Harry Clark, a New York City Fireman, “was wounded, and the rebels thought to take him a prisoner; he resisted, as it is supposed, for he was found lifeless over the dead body of a rebel, having put his bowie knife through the rebel's throat.” ? What I like about Hartwig, Harsh, Carman, and many others, is the level of details that put the reader there. I guess that not everyone is up to that level of history. Learn about life during the turbulent 1860s with reenactors, historians and Junior Docents. See demonstrations of life on the home front and in the military. At 1:00 p.m., Marvin Jones, Chowan Discovery Group, will present Fathers, Farmers, Fighters, Leaders: The Robbins Family at War. Carriage rides ($5 per person, with Carolina Carriages) and pony rides ($3 per child, with Circle S Stables) will be available. 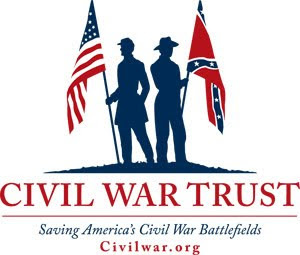 Visit the Museum Gift Shop for Civil War-related books, souvenirs, and memorabilia. I will be showing enlarged photos of Forts Hatteras and Clark as well as engineering diagrams made in 1861 and 1863, not to mention the earthworks Brig. Gen. Thomas Williams had built in October 1861 to defend against a land attack. The lifespan of a Confederate colonel. 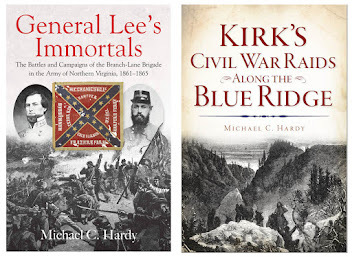 There are many different ways to examine the men who served as colonels of Confederate infantry regiments: age, education, pre-war occupations, social standing, etc. How about looking at how long they maintained their position during the War? Since I'm living the life and times of Branch-Lane brigade, I've chosen to look at the 15 men who served as colonels of the five regiments that made up the brigade. 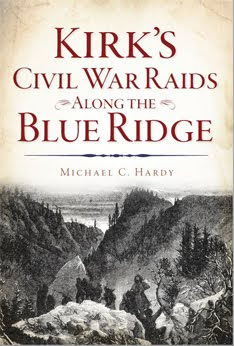 Now the fine print: there were brigades and regiments who fought less, or saw less of the War than the five regiments in this Tar Heel brigade. John B. Palmer was the only colonel of the 58th North Carolina Troops. He was elected in July 1862, and on paper, still commanded his regiment in May 1865 when he was captured. 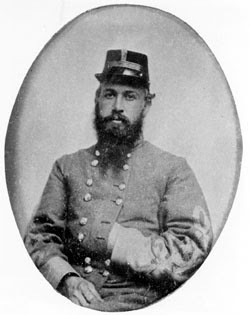 While Palmer served as commander of the Department of Western North Carolina starting in late 1863, he was never promoted to brigade general, and the 58th North Carolina never got a new colonel. There were five regiments in the Branch-Lane brigade. 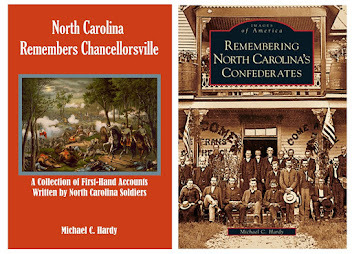 The 7th North Carolina Infantry had three colonels. Reuben Campbell was elected in May 1861 and was killed at Gaines Mill on June 27, 1862. Edward Haywood was promoted to colonel on June 27, 1862, was wounded at Second Manassas and Chancellorsville, and resigned on July 22, 1864. William Davidson assumed the position on November 28, 1864, and commanded until the end. 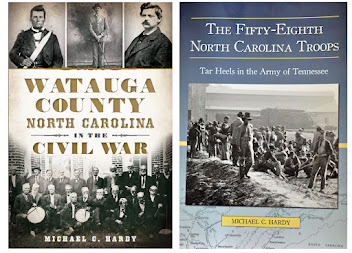 The 18th North Carolina Infantry had the most, with four men serving as colonel. 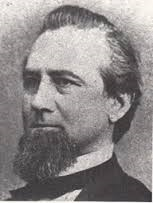 James Radcliffe was elected on July 18, 1861, and defeated for re-elction on April 24, 1862. Robert Cowan defeated Radcliffe, and served as colonel until resigning on November 11, 1862. Thomas Purdie assumed command next, and was killed at Chancellorsville. John Barry was promoted colonel to rank on May 3, 1863, was absent due to a wound from July 1864 until January-February 1865, and surrendered with the regiment. The 28th North Carolina had three men to serve as colonel. James H. Lane had the post from September 21, 1861, until promoted to brigadier general on November 1, 1862. Samuel Lowe assumed the position next, while a prisoner of war, not assuming command until January 1, 1863. After his wounding at Gettysburg, he apparently never resumed command, and was retired to the invalid corps on July 8, 1864. William Speer was next, and served the shortest amount of time as colonel, occupying the post for only two months until he was mortally wounded at Reams Station on August 25, 1864. 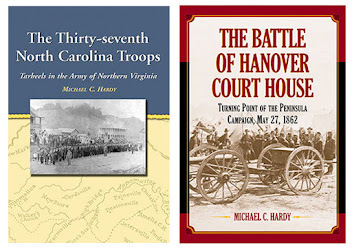 The 33rd North Carolina had three men who were colonels. Lawrence Branch was elected on September 20, 1861, and promoted to brigadier general on January 17, 1862. Clark Avery replaced Branch, serving from January 1862 until he died of wounds on June 18, 1864. Yet Clark was a prisoner of war from March 14, 1862, until sometime in November 1862. Avery was wounded at Chancellorsville and was out until November 1, 1863. He missed 14 months of service (at least) . Robert Cowan replaced Avery on June 18, 1864, and rode out of camp on April 10, 1865, without surrendering. The 37th North Carolina Troops had only two men to attain the rank of colonel. Charles C. Lee was appointed colonel on November 20, 1861, and was killed at Frayser's Farm on June 30, 1862. 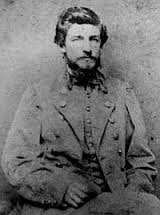 William Barber was elected colonel on June 30, 1862, and died of wounds on October 3, 1864. Yet Barber was wounded at Chancellorsville, captured at Spotsylvania Court House, and wounded in August and again in September 1864. He missed eight months. Looking at the time we know the men missed due to being wounded, or as prisoners of war, the average length of service was about 11 months. A man appointed colonel in a regiment in the Branch-Lane brigade would only hold the position for about 11 months.